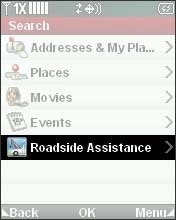 A non-subscriber is charged a fee (credit card required) for one-time use of Roadside Assistance. 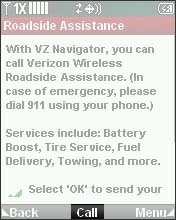 Coverage/Service is available 48 hours after adding service. 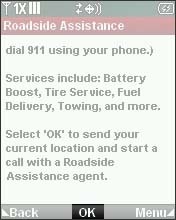 If immediate service is needed within the first 48 hours, a fee applies. 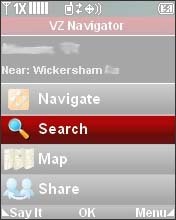 While in VZ Navigator, select Search.